The American Association of University Women (AAUW) is the nation’s leading voice promoting equity and education for women and girls. 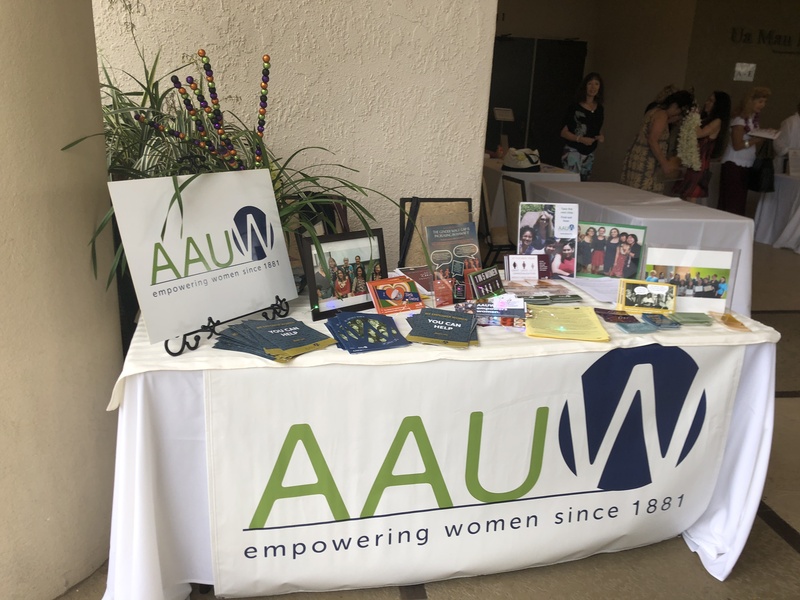 For over 65 years the Hilo Branch of AAUW has been assisting women and girls in our community to achieve self-realizatio through education. Our intellectually curious women are energetic fundraisers and have enabled the Hilo Branch to award scholarships since 1954. 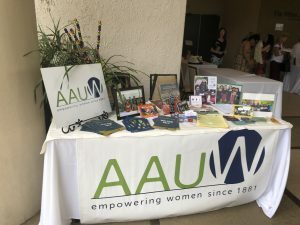 Currently both the University of Hawaii at Hilo and the Hawaii Community College are AAUW University Partners — with the goal to strengthen the leadership skills of its students and staff and to build community relations. In 2014 Hilo Branch established a 501 (c) (3) Scholarship Fund. Each year we award scholarships to local college students. 2018/2020 Board Members: Constance Cate- Treasurer; Mary Connie Banser- Secretary; Rosemarie Muller- Scholarship Chair; Annette Barr- President; Elizabeth Hansen- Membership VP; Nancy Bradwell- Events VP; Jane Panek- University Relations. Since our first meeting in 1881, the American Association of University Women has been a catalyst for positive change in women’s lives. One of our first grants of financial support was to Madame Marie Curie to further her research into the properties of radium. Today AAUW has approximately 100,000 members across the country working to improve the future for women and girls. AAUW continues to break through barriers with fellowships, grants and awards. Last year the AAUW Educational Foundation awarded over $4 million in fellowships, grants and awards to more than 250 recipients. AAUW National Website is: AAUW.org. AAUW’s advocacy, research, campus leadership, public policy and educational programs are inspiring as well as successful.